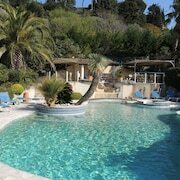 Situated on the waterfront, this villa is within a 5-minute walk of Eglise St Michel and Cassis Beach. Calanques National Park is 0.6 mi (1 km) away. 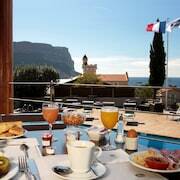 Situated in Cassis, this hotel is within a 5-minute walk of Cassis Harbour and Cassis Beach. Calanques National Park is 0.7 mi (1.1 km) away. 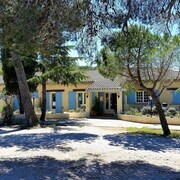 Situated by the sea, this apartment building is within a 5-minute walk of Cassis Harbour and Cassis Beach. Calanques National Park is 0.6 mi (1 km) away. Which hotels are closest to the Cassis airport? 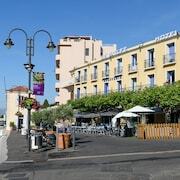 Can you find accommodation in popular areas of Cassis? Where to stay near top Cassis attractions? What kind of hotels are in Cassis? 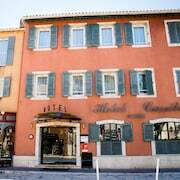 Which hotel chains are in Cassis? Visitors to Cassis are sure to enjoy the waterfront. Tourists can also enjoy all the city has to offer including its local tours. Top sights around the area include Notre-Dame de la Garde, La Vieille Charite, and Museum of European and Mediterranean Civilisations. The city's natural setting is picturesque, including the seaside and such places to visit as Cassis Beach and Cap Canaille Cliffs. Exploring the waterfront is just one of the top activities, while Cassis Harbour and Calanque de Port Miou are sights to visit. A couple of additional sights to add to your agenda are Eglise St Michel and Calanques National Park. Royal Cottage - With a stay at this 3-star hotel, guests can enjoy access to an outdoor pool and free parking, along with a private pool. 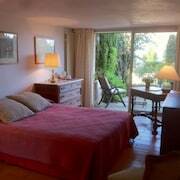 Best Western Hotel La Rade - Our customers like the pool and helpful staff at this hotel. With a stay at this 3-star hotel, guests can enjoy access to an outdoor pool and free parking, along with free WiFi. 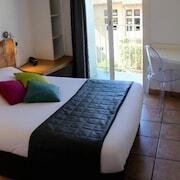 INTER-HOTEL Cassitel - This 2-star hotel features free WiFi, parking, and a 24-hour front desk. Expedia customers like its convenient parking. Top places to see in the area include Notre-Dame de la Garde, located 10 mi (16.1 from the city center, and La Vieille Charite, which is 10.7 mi (17.3 away. With so many ways to get around, seeing Cassis is simple. 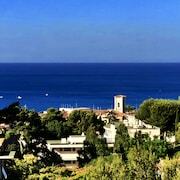 To venture out into the surrounding area, ride aboard one of the trains from Cassis Station. You can find out about water travel options at the local port. 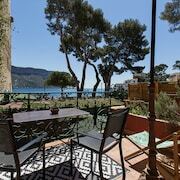 What are the most popular hotels in Cassis? 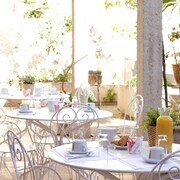 Are there hotels in cities near Cassis? 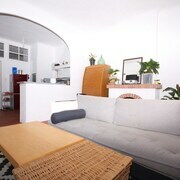 Explore Cassis with Expedia.com.au’s Travel Guides to find the best flights, cars, holiday packages and more!